Numerous multifaceted issues confront the nation's emergency departments, a frontline component of America's healthcare safety net. This article explores current nursing workforce issues, staffing issues and nurse-to-patient ratios, current emergency department benchmarking data, and operational issues that affect the quality of care and safety in emergency departments. Several strategies are recommended to improve care for patients and increase the recruitment and retention of qualified nurses and personnel in emergency care settings. FROM 1992 through 2002, the number of emergency department (ED) visits increased by 23%, an increase from 89.8 million to 110.2 million visits annually, while the number of hospital EDs in the United States decreased by about 15%.1 This rising pressure on EDs has been compounded by the national nursing shortage and shortages in the nation's healthcare workforce, inadequate access to primary care and specialty services, and the federally mandated "open access to emergency medical care" for all dedicated EDs by the Emergency Medical Treatment and Active Labor Act of 1986 (EMTALA). Along with changes in patient attitudes and perceptions about seeking care, growing consumer activism and pressure to improve overall patient quality and safety, and administrative mandates to cut expenses, EDs have begun to sag in their ability to function as a vital component of America's healthcare safety net. This article will delineate key issues challenging EDs in today's healthcare environment and propose strategies to improve care for patients and increase the recruitment and retention of qualified nurses and personnel in emergency care settings. Numerous national workforce reports have emerged in the last half decade to define the cause and effect of the national nursing shortage on healthcare. Most studies agree, RNs constitute the largest healthcare occupation, with 2.3 million jobs. 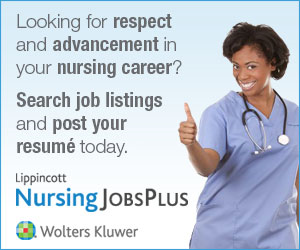 The Joint Commission on Accreditation of Healthcare Organizations (JCAHO) reports that 126,000 nursing positions are unfilled in hospitals, accounting for an overall vacancy rate of 13% for nursing positions.2 The US Department of Health and Human Services (HHS) conducted the National Sample Survey of Registered Nurses (NSSRN) in 2000. Even though hospitals remain the major employer of nurses, the number of RNs employed in nursing increased (public or community health and ambulatory care roles) while the number of RNs employed in hospitals actually decreased by 7%.3 Nursing shortages were cited as a major concern by 90% of states in a study on health workforce shortages conducted by the State University of New York at Albany in November 2002.4 By 2020, the total number of full-time equivalent (FTE) RNs is projected to have fallen 20% below the Health Resources and Services Administration's (HRSA's) projections of the number of RNs that will be required to meet the demand. Critical nursing shortages are concentrated in specialty care units that require the knowledge and skill of highly trained nurses, such as the intensive care unit, operating room, and ED.5 The Emergency Nurses Association (ENA) reveals that during one 6-month period from September 2000 through February 2001, 42% of vacant RN positions were filled within 4 weeks; however, 55% of EDs required up to 6 months, and 7% required more than 6 months to fill vacant RN positions. An overall vacancy rate of 11.7% is reported for EDs.6 Currently, the nursing shortage is largely attributable to several factors that will be discussed below. Figure 1. Chart 22: Precentage of RNs who reported being satisfied in their jobs (by employment setting, March 2000). From HHS/HRSA National Sample Survey of Registered Nurses. For many years, one of the key problems challenging EDs has been how to determine appropriate staffing. Various benchmarks have been used to measure and compare staffing levels, including the prominent standard known as hours per patient per visit or HPPV. Using this system, the total number of paid nursing staff hours is divided by the total number of ED visits to yield a number in HPPV. The pitfalls with using this single productivity measure to determine nurse staffing are obvious. A patient with a minor laceration receives the same consideration for utilization of nursing resources as a patient with an acute myocardial infarction or major trauma even though the resources needed to care for each would be much different. In the past few years, nursing organizations, labor unions, and legislators have been advocating for mandated nurse patient ratios. For ED patients, these ratios typically range from 1:4 ratio for general ED patients to 1:1 for trauma patients, and do not consider patients whose resuscitation requires as many as 4 RNs. Neither nurse to patient ratios or HPPV productivity benchmarks have been based on research or best practices regarding patient care and safety nor do either of them give consideration to some key variables regarding ED patients, such as acuity, length of stay (LOS), and nursing workload. With the increasing number of patients being boarded in EDs and the documented rise in acuity of patients, these variables must be considered. Patient census is important to determine the overall volume of patients who are being triaged versus those who are being treated (as those numbers may not always be the same). Most EDs see volume fluctuations by day of week, time of day, and month of the year. Numerous variables, from an increase in tourists, snow accumulations, and/or viral epidemics, can affect these fluctuations and require the use of nontraditional staffing patterns. Patient acuity is reflective of the differences in resources needed for a minor care patient with a sprained ankle versus a critical care or trauma patient. Current Procedural Terminology (CPT) coding is the current standard by which acuity is retrospectively determined. CPT levels can be correlated to Ambulatory Payment Classifications (APC) and facility levels, making it the most current universal determinant -being used in the United States- of ED patient acuity throughout an ED patient encounter. Patient LOS encompasses the continuing nursing assessments and interventions required from the time the patient enters the ED and requests treatment to the time he or she leaves the ED either to be discharged home or admitted to the hospital. As per ENA Staffing Guidelines, for each CPT level, the volume of patients and their average LOS will need to be determined to account for the variables in census, acuity, and LOS. The ENA Staffing Guidelines are supplemented with an automated Excel workbook (referred to herein as the "tool") into which these data points and other variables are entered. The tool calculates the number of FTEs required for patient care in the ED. In the underlying formula developed for the ENA Staffing Guidelines, nursing time for interventions and activities by patient acuity was determined by identifying typical patients that fell into each acuity level and the types of nursing interventions that were generally needed for those types of patients. Then, utilizing the Nursing Interventions Classification (NIC) system, the amount of time to perform those interventions was calculated, resulting in a "minutes of nursing time" calculation at each acuity level.13 These minutes are converted by the tool into FTEs of ED nursing staff. These FTEs are then split by the tool into a 86% RN to14% non-RN staffing skill mix consistent with research projections by the Center for Nursing Classification, which determined that 86% of the nursing interventions based on NIC need to be performed by an RN.14 Once the total number of FTEs needed for a unique ED population is determined, these can be appropriately distributed throughout the day on the basis of patient volume trends. Also factored into the staffing tool is the amount of non-patient care time needed, yet generally overlooked, in determining appropriate staffing levels. An adjustment factor must be taken into account to compensate for the non-patient care time that will occur for each FTE required to provide total patient care. This compensated non-patient care time includes vacation, sick and holiday time, as well as meal and personal break time, plus education, training, and meeting times. To provide for this compensated non-patient care time, additional FTEs of patient care time must be added to provide for the total time required based on patient volume, acuity, nursing interventions and activities, LOS, and skill mix. Several emerging trends have a potential key impact on patient care and workforce issues. In 2001, ENA surveyed 1380 EDs across the United States with the goal to compile valuable data regarding staffing indicators, delivery of services, patient utilization, as well as vital characteristics of EDs.16 This acclaimed benchmarking survey, as well as several other national reports, demonstrates the pitfalls of several issues impacting patient care in EDs in numeric values. ENA anticipates an update of its landmark survey for EDs in 2005. It has been documented that increases in patient volume correlate to increases in patient acuity measured using the 2001 ENA National Benchmark Guide: Emergency Departments. The largest increases occurred for elderly (60%) and nursing home (47%) patient visits, supporting the concern with regard to an aging population and the need for increased resources to care for them. In addition, more than half of EDs reported increased after office hours visits. Factors include "primary provider too busy," "convenience of patient," "patients with no primary provider," and "sent by primary provider. "16 Additionally, in the 2002 survey of states, 62% of all US hospitals reported being "at" or "over" operating capacity, with this proportion rising to 79% for urban hospitals and 87% for level I trauma centers.17 Difficulties in recruiting and retaining qualified professional staff, shortages of willing on-call medical specialists, and the overall shrinkage of inpatient hospital capacity are making it difficult for institutions to move patients from the ED to other parts of the hospital environment. The root causes leading to ED crowding are larger system problems, and the solutions to fixing them require a collaborative commitment and investment from all components of the healthcare system. * 61.4% have computerized order entry.This is typically met through the preexistence of hospital legacy information systems with laboratory and radiology order entry. * 28.4% have computerized discharge instructions. * 27% have computerized patient tracking. * 17.2% have computerized medical records. This is commonly achieved by optically scanning the paper medical record and then being able to view that image online as opposed to having a true electronic medical record (EMR). * 8.5% have computerized triage documentation. * 7.8% have computerized physician assessments. * 5.8% have computerized physician interventions. * 3.6% have computerized nursing assessments. Almost 50% of the JCAHO standards are directly related to safety, addressing such issues as medication use, infection control, surgery and anesthesia, transfusions, restraint and seclusion, staffing and staff competence, fire safety, medical equipment, emergency management, and security.25 They serve a secondary benefit as a vehicle for nurses to facilitate change in the workplace. For example, the national need to address staffing issues at healthcare organizations is the impetus behind new Staffing Effectiveness Standards developed and implemented by the JCAHO in 2002. The new standards help healthcare organizations assess their staffing effectiveness by providing them with an objective and evidence-based approach to assessing the number, competency, and skill mix of their staff by linking staffing effectiveness to clinical outcomes. These Staffing Effectiveness Standards will be updated by JCAHO in 2005. Currently, there are no ED-specific indicators outlined by JCAHO. However, patient LOS as well as all of the benchmark events during a patient visit are important to consider in the indicators of staffing effectiveness. EDs should be continuously tracking not only the overall LOS for patients, but also intervals such as door to triage, door to ED bed, door to physician, and door to disposition times. Because of the numerous multifaceted issues that confront hospital EDs, recommendations for strategies to be implemented at multiple levels are proposed. These strategies are recommended to improve care for patients and increase the recruitment and retention of qualified nurses and personnel to emergency care settings. ED overcrowding and diversion is a symptom of a failing healthcare system and is not caused by ED dysfunction. System administrators need to reevaluate the root cause(s) of ED overcrowding and hold internal and external departments accountable for resolving patient flow issues while supporting EDs in their mission to provide quality care. Increasing bed capacity in EDs is not the solution for a lack of greater internal resources. Healthcare leaders must provide the financial resources that support quality leadership, education, and state of the art technology in the ED to enable emergency practitioners to focus on patient care without the nonclinical distractions that can impact positive patient experiences and outcomes. The continuing practice of determining ED nurse staffing on the basis of financial productivity measures that do not take into account the dynamic variables affecting ED nursing care needs to change. Staffing systems that are evidence based and consider the variables of patient acuity, LOS, and nursing interventions and activities should be utilized to determine safe and effective ED nurse staffing. Providing the appropriate number of nursing staff to deliver quality care in a safe manner will lead to improved patient outcomes and greater nurse satisfaction, which, in turn, will lead to greater staff retention. While elements of nursing practice are interdependent on other disciplines such as medicine, nurses are independently licensed by and accountable to state boards of nursing to make clinical and managerial decisions regarding nursing care. An emergency nurse is legally and professionally responsible for determining that the orders for patient care are appropriate before implementation.27 Traditional nursing roles are complementary and supportive of many disciplines, and collaborative efforts must refocus on building trusting relationships while working to eliminate cultures that have traditionally supported attitudes of subordination towards nurses. Abusive and disruptive behavior by any discipline must not be tolerated. Healthcare systems must encourage open dialogue among physicians and nurses to ensure proper and accurate communications of patient-related information. Ergonomics and personal safety has become a preeminent concern of emergency nurses. Efforts must focus on environmental redesigns that maximize efficiency and personal safety. Hospital and departmental resources and policies should address issues of moving and lifting patients and equipment that exceed recommended workloads for a single individual. Hospitals may need to consider permanent assignment of security personnel to EDs to assist with violent patients and evaluate and defuse potentially lethal encounters among patients, visitors, and staff. Fair incentives should apply to physicians as well as nursing. While it is common to financially reward medical colleagues when ED revenues exceed a projected budget (eg, profit sharing), it is very uncommon for similar incentives to be applied to nursing when departmental revenues exceed goals. Nursing administration and staff work equally hard to minimize overtime, maintain costs related to equipment and supplies, and increase efficiency but are rarely recognized or rewarded for this effort. While in some cases it would be impractical to divide rewards among individual nurses, such support could be used on a more global basis to provide increased opportunities for education, specialty certification, and support of other professional activities. Administrators and supervisors must work to identify meaningful and fair incentives for professional development. Paid time off (eg, continuing medical education) is not unusual for medical staff but hospitals are increasingly eliminating such support for nurses, nurse managers, and nurse directors. Expectations that professional nurses should participate in such activities "on their own time" are unreasonable and discriminatory if similar policies are not applied to all professionals. Media relations should inform and promote positive accomplishments equally among disciplines. Development of career path or progression models that reward increasing clinical competency, knowledge, education, and professional development for nurses is imperative. Emergency nurses and physicians must take a lead role in educating and advocating for their work environment as well as other initiatives that will improve patient care. They must simultaneously get more involved in hospital committees, social and professional organizations, media campaigns, and public policy initiatives to implement change. Physician and nursing organizations must include one another in professional activities at the time they are initiated and work to integrate one another's ideas and values into combined policy statements and documents when appropriate. Seeking endorsement after such materials have been developed by one organization or discipline disrespects the other and decreases the likelihood that a collegial alliance can be formed. Numerous multifaceted issues confront the nation's EDs. The nursing shortage, nursing job satisfaction, staffing, ED overcrowding, LOS, number of beds, interpersonal violence, need for technology, need for improved ergonomics in facility design, and accreditation influences are key issues described. Several key strategies for healthcare administrators and ED care providers are proposed. They are to increase administrative commitment, revise staffing guidelines, implement integrated information systems, create cultures that recognize ED nursing practice, promote interdisciplinary collaboration and open communication, create safer work environments, apply incentive programs uniformly, support and recognize professional accomplishments, and increase ED care providers' influence in policymaking. It is the authors hope that these recommendations will lead to the implementation of -strategies that support EDs' continuous ability to respond effectively to the needs of their communities.